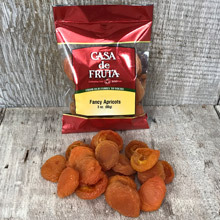 These fancy apricots are a delightful and flavorful treat. They are moist, tender, naturally sweet, and nutritious too! Packaged in a 3 oz. bag.